The MirMR810 relays are a set of boards with a sender board with contact closure inputs (no voltage) and multiple boards with relays. Contact closure inputs on the sender board control the relays on the receiver boards - wirelessly. Switch 8 relays in up to 6 remote locations independently, in any combination or all at once with a simple contact closure! The MirMr810 Multi-Point Contact Closure is an ideal choice for wireless contact closure switching in multiple locations. Great for controlling lights and other devices over a wide area! The MIRMR810 has 1 relay on the receiver boards and can have up to 24 receiver boards in remote locations. The Sender board will have 16 or 32 contact closure inputs depending on the number of remote locations you select. We will ship you the sender board that will have enough contact closure inputs to control each relay independently. Contact closure inputs such as buttons, switches or other electronic devices (no voltage) attached to inputs on the sender board will trigger relays on some or all of the remote locations. The Sender has inputs while the Receivers have relays. When an input on the Sender is tripped by a contact closure a relay on a Receiver board is energized and will remain energized until the contact closure is released. Wiring will determine what relay on what location will energize. Communication between the Sender and Receivers are Wireless. Pricing shown on our web site indicates pricing for one contact closure sender board and two receiver boards. More receiver boards can be added at checkout to control up to 24 locations. The sender board can communicate wirelessly to 24 different locations. These locations will have to be in range of the sender board which can be up to 1 mile (1.6km), for more see 802.15.4 Modules below. Each location will have a 1 5-amp SPDT relay onboard (more on SPDT relays below). The remote locations will receive a command from the sender board when a contact closure input that is associated with the board is tripped to trigger a relay or a group of relays in different locations. Additional remote locations can be added at a later date but all married boards in the system will need to be sent back for configuration. The sender board and each receiver board is equipped with a Wireless 802.15.4 Module. The wireless module adds wireless communications to the board using an 802.15.4 wireless protocol and will only communicate with it's paired modules. The module is powered from the board and the board itself will require 12 volts of power and can be hard wired or you can purchase a "wall wart" type transformer at checkout. The wireless range or distance the boards will be able to effectively communicate with each other has a "Standard Range"of 1Mile (1.6km). This includes a small external antenna that can be positioned or placed outside of an enclosure. Hills, Trees, and Buildings will greatly reduce communication range of all wireless devices, so practical distances may be less. 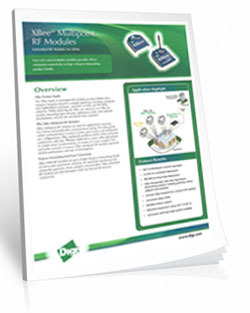 As with any wireless technologies, for optimal performance it needs to be line-of-sight. In other words the antennas of the board and modem must "see" each other to get the optimal range or even be able to communicate at all. Who’s Qualified to Use the MirM Series? Anyone. The MirM Series Controllers are very consumer-friendly devices that are married together through software and only require some wiring by the end user. 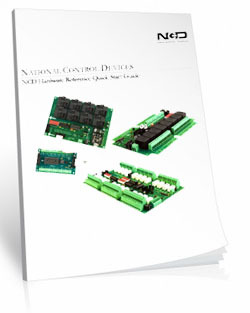 Whether an electronics engineer or a home hobbyist, almost anyone is qualified to use the MirM Series controllers. A Quick Start Guide is will be available soon in the resources section to the right or bottom of this page. A MirM controller has a contact closure input board that has enough inputs to control each relay at each location independently. The inputs can be wired to trigger any of the relays at any of the remote locations in any combination. The inputs are contact closure inputs only - no voltage can be applied to these inputs. Buttons, switches, other relays or other electronic devices can be used as an input and trigger the remote relays as long as no voltage is applied. MirM Controllers have relays integrated into the receiver board for the remote locations. A relay is similar to a switch, the only difference between a switch and a relay is the actual mechanism for changing the on/off status of the switch. On a switch, you manually push on a piece of metal or plastic to operate the switch. On a relay, an electric current is used to operate the switch. Relays do NOT provide a voltage output, they provide a contact closure output and simply interrupt the power to the device you are switching. Wiring to a relay will be slightly different depending on the model of MirM controller you choose. A relay can be used as a contact closure input. If your job requires a single contact closure input to trigger other multiple contact closure inputs this will do the job well. We have looked at the interface and the MirM Concept now let's take a look at the board design itself. 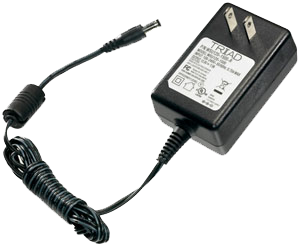 These controllers allow you to trigger a relay simply by using a contact closure (no voltage). All relays are electronically latched, depending on the contact closure input that you are using you can momentarily keep the relay on or use an Alternate Action Switch can trigger relay on then off. The relay on the receiver boards can also be used as a contact closure input in applications that require a contact closure trigger point. Fully tested before they leave the production facility each MirM pair is ready to stand up to rigorous demands from heat, cold or vibration. The best test of all is the numerous boards in the field from customers all over the world in all sorts of conditions. Take it from us, these controllers will hold up! 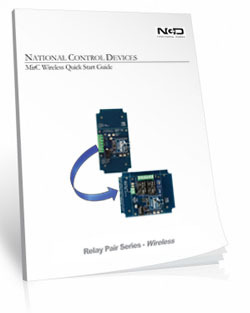 MirC series controllers are designed for long life, you should expect to get years of service from your controller and literally 2-million cycles from the relays on board. With a 5-year warranty and a money back guarantee you have nothing to loose! Place your order now, while everything is in front of you. The MirM Receiver Boards have a great feature where space is a premium - Break-A-Way Tabs. 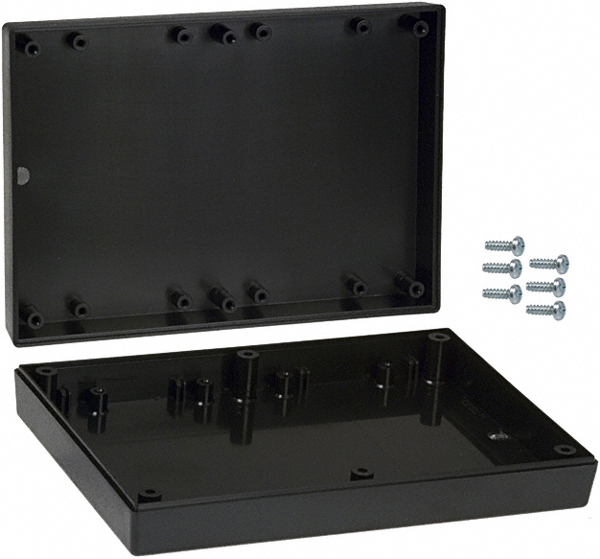 The Break-A-Way Tabs allow most receiver boards to fit in an optional undrilled plastic enclosure. Snap off the Break-A-Way Tabs and you have a receiver board with a smaller profile when you need to fit in a tight space. 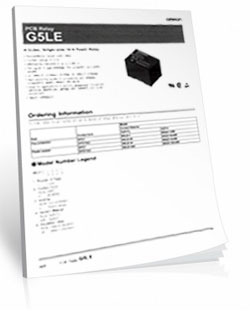 Order your MirM led free and be RoHS Compliant. If your requirements are for RoHS compliant parts this board can be ordered to be manufactured with RoHS compliant led free parts and solder. Just look for the RoHS option at checkout. MirM controllers are guaranteed against manufacturing and functionality defects for a full 5 years! Not to mention a 30-day money back guarantee! If for any reason you are not happy with a relay purchased from National Control Devices, simply return it within 30 days and we will give you your money back! Controllers that are damaged by our customers will not of course be warranted under any circumstances. The boards sold are brand new units shipped from our manufacturing facility conveniently located in Missouri. These boards are completely tested before they are released for shipping With so many boards on our site it is impossible to stock boards, please allow 5 to 7 days production time for your order to ship. Multi-Point Contact Closure Is Here! Perhaps the most overlooked aspect of relay control is proper handling of inductive loads. Inductive loads can best be defined as anything with a magnetic coil, such as a motor, solenoid, or a transformer. Controlling a inductive load using this relay controller requires the use of induction suppression capacitors. The purpose of this capacitor is to absorb the high voltages generated by inductive loads, blocking them from the contacts of the relay. Without this capacitor, the lifespan of the relay will be greatly reduced. Induction can be so severe that it electrically interferes with the microprocessor logic of our controllers, causing relay banks to shut themselves down unexpectedly. In the case of Ethernet devices, customers may experience loss of communications until the device is reconnected. Capacitors that we offer are available at checkout and you can find them on our Induction Page for their use and setup video. 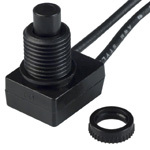 The SR171B Enclosure is an undrilled, non-waterproof enclosure and is available at checkout for this controller.